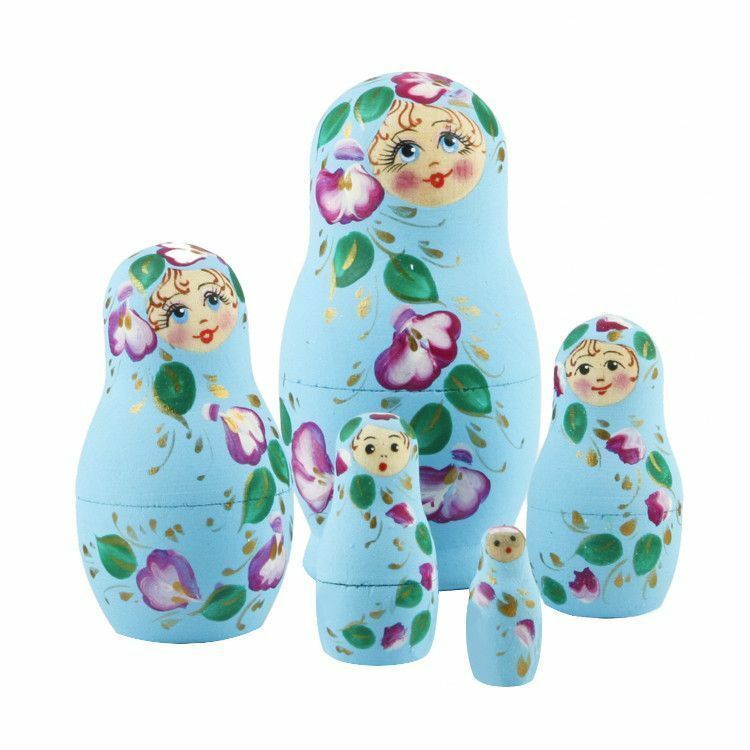 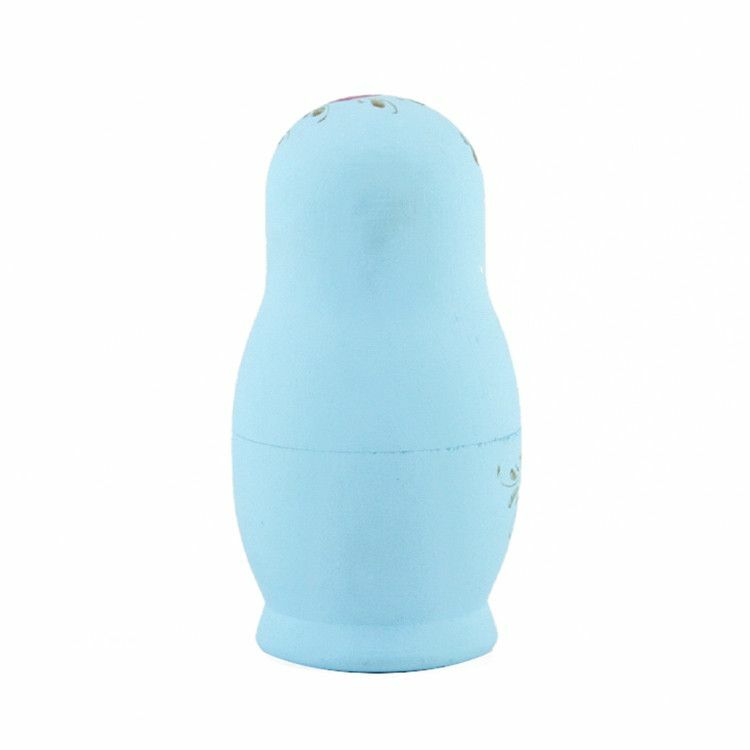 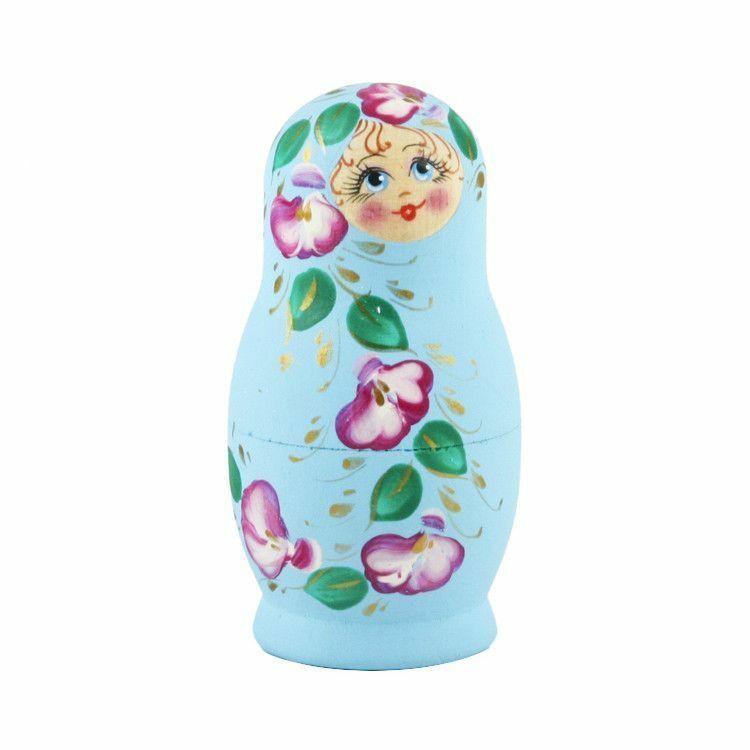 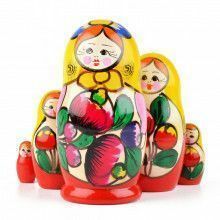 This little 3 3/4" tall cutie is hand-crafted and hand painted in Russia. 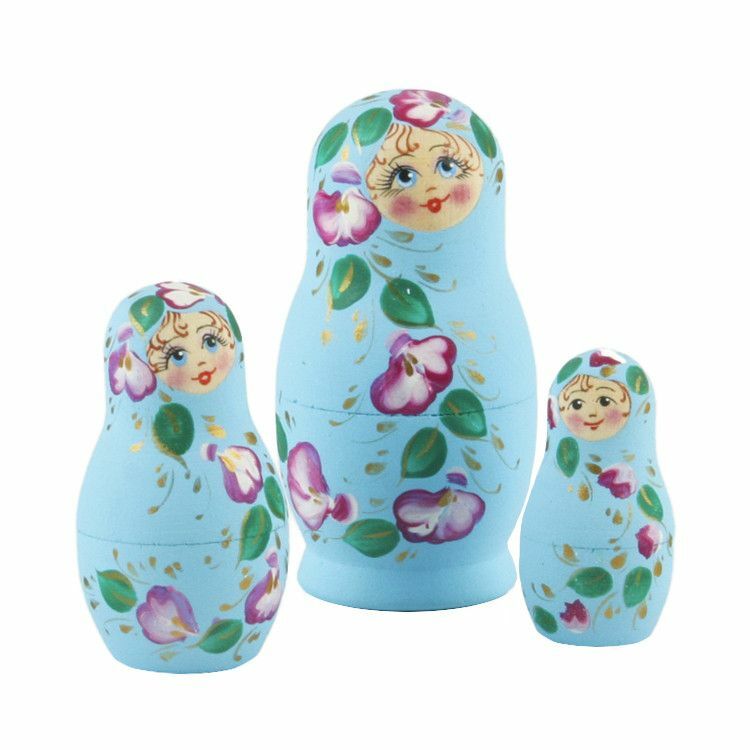 It has a matte finish, with a red and green floral arrangement dancing in the wind against a sky blue dress. 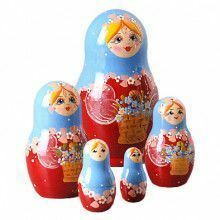 It makes a great gift, and goes nicely with any home decor.